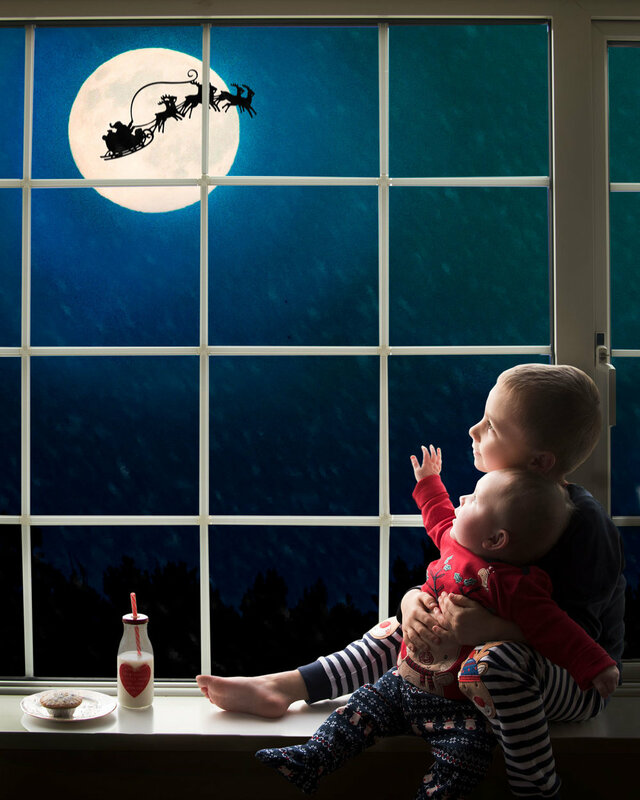 Send the perfect personalised gift this Christmas with one of our magical 'waiting for Santa' photographs. Makes a great card, bauble or prezzie for family & friends this Christmas! A quick and easy, stress-free shoot involving sitting or standing up to the window looking out at the night sky (actually daytime is best!) and you can leave the rest to me! Suitable for babies that can sit independently (or in between siblings legs) and children of all ages. Waiting for Santa photoshoots are 10 minutes long and include 1 digital image.